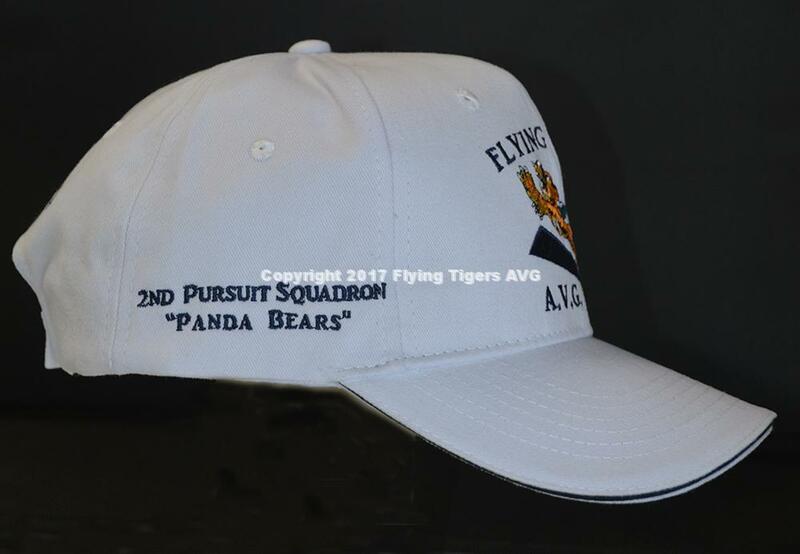 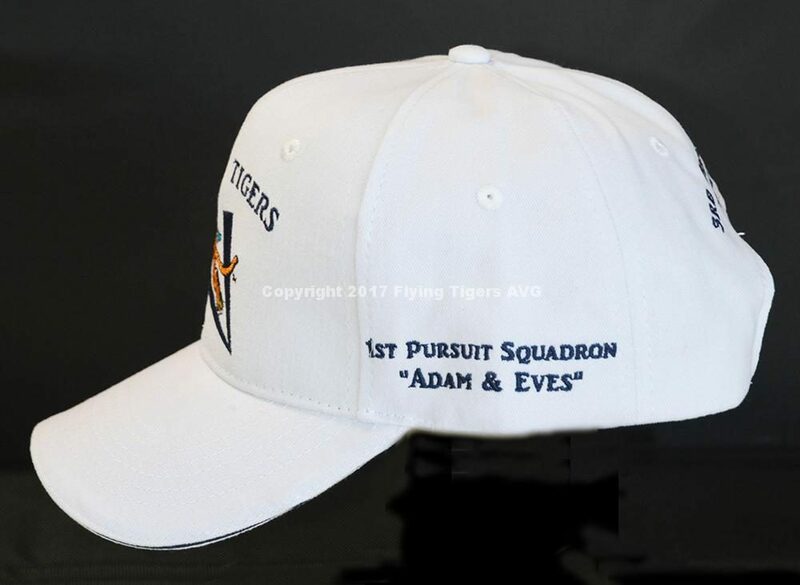 AVG Flying Tigers baseball style cap. White hats with blue trim, full color A.V.G. 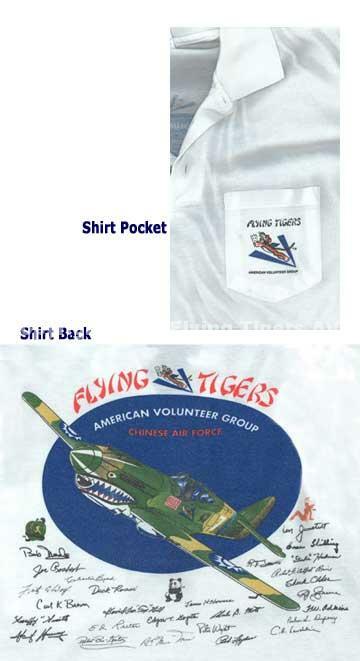 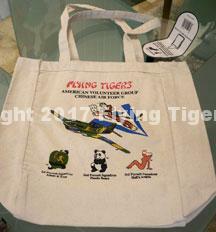 Flying Tigers logo embroidered on front. 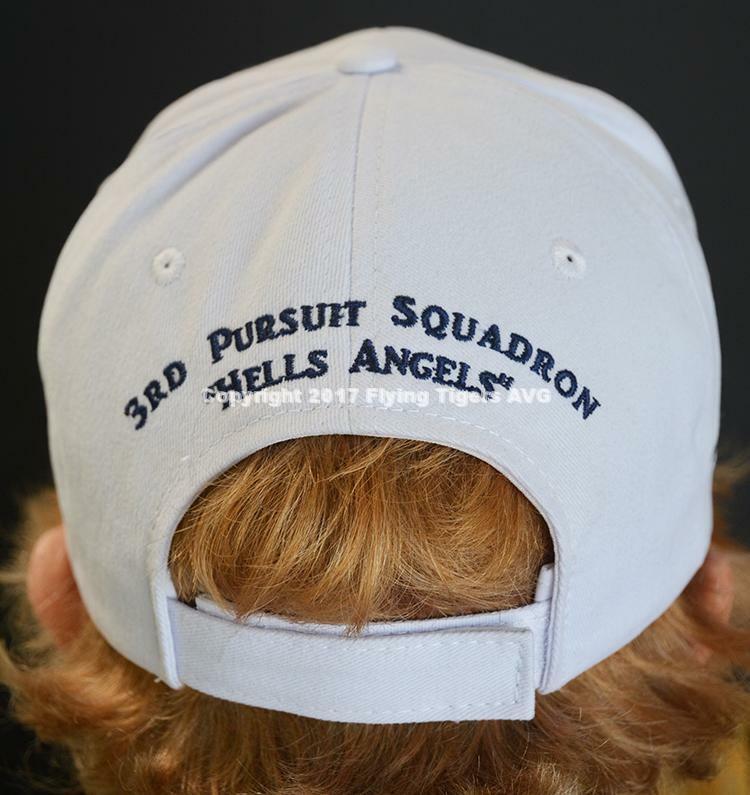 Front logo in full color, 3 squadrons in blue text on sides and back. 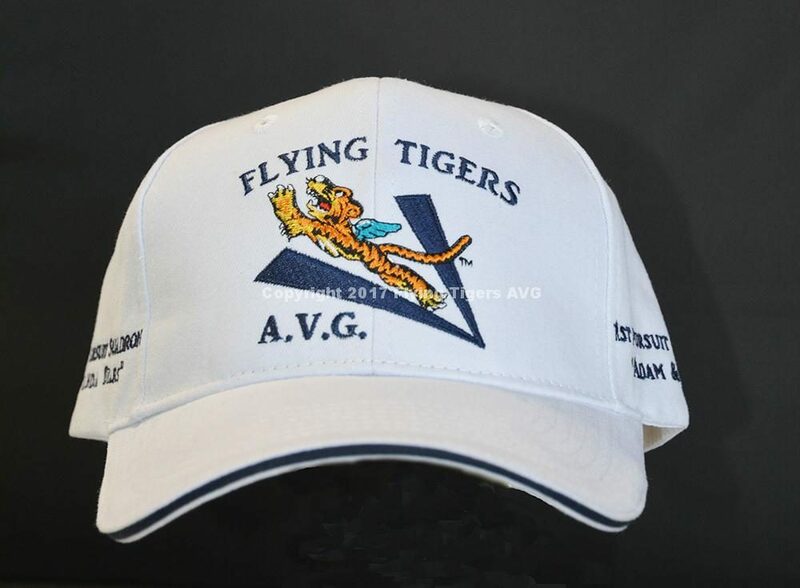 Velcro size adjustment.